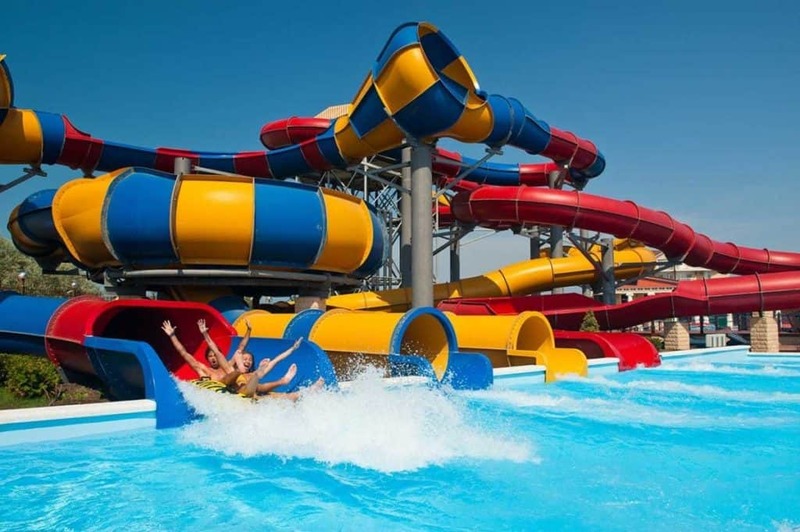 Whether you’re looking to take the kids for a day of family fun and cool splashes this summer or are looking for your next great destination spot for a vacation getaway, Kentucky has a waterpark for you. Get ready to have a blast splashing in the cool pool waters, laughing and playing in the kiddie areas, swimming, diving, floating away on lazy rivers, rushing down thrilling rides and slides and partaking in the many exciting activities. Whatever your age, a whole host of wet and dry fun awaits at these great parks. Be sure to make Hurricane Bay a vacation destination this summer. With thrilling rides, exciting play areas and cool pools, everyone is sure to have a memorable time. Adrenaline and adventure junkies will have an absolute blast on the rides. Raft down the huge funnel of the Tornado. Zoom down the mysterious twists and turns of the body slide, Vanishing Falls. Whirl down the huge bowl of the Waikiki Wipeout. Rush down the crazy fast Wave Runner slide where you’ll drop sixty-six feet over three huge bumps. Grab the family and raft down the awesome, fifty-two foot high Plummet Summit. You might have to adjust your bathing suit after a ride on the Mega Wedgie. The huge, hundred foot slide plunges into a massive bowl for a swirling, whirling adventure. You’ll love tubing down the Kilawaya, the Forbidden Passage, Calypso Run and the exciting water coaster, the Deluge. The Deep Water Dive slide might just make you scream. Kids will have a blast at the Buccaneer Beach and at the Splash Zone, complete with a massive dumping bucket and a whole host of interactive fun. The Family Wave Lagoon and the Big Surf make for hours of splashing, splishing fun. Bob down the Adventure River or grab a tube and relax on the tranquil waters of the Castaway Creek, a scenic journey you won’t soon forget. Dry off at the park and head on over to the theme park for a ton of dryland fun or just come back another day to experience it all!